The Scottish Aquaculture Innovation Centre is a new £10.6M facility located at the University of Stirling. 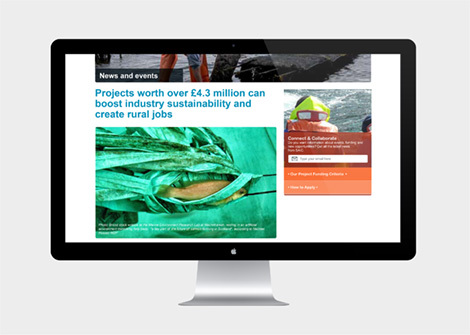 It has been created to increase innovation and collaboration between research communities and Scotland’s aquaculture industry. Achieving this drives the economic growth and commercial success of this important sector. To succeed the Centre needed to quickly build connections and relationships between its business and academic audiences. 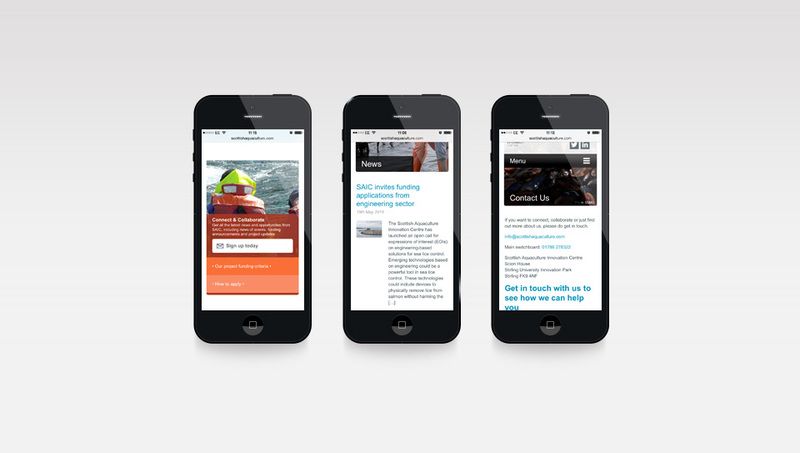 At the heart of this activity sits the organisation’s website. 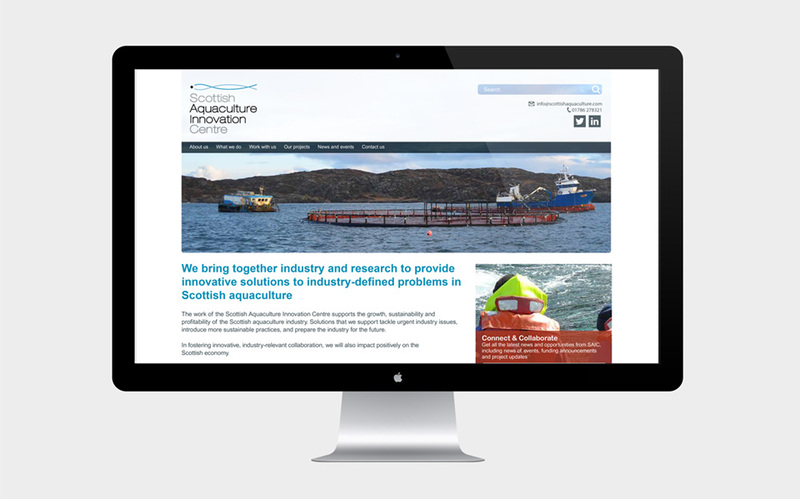 We were commissioned to build their new website and establish it as a hub for the aquaculture community. 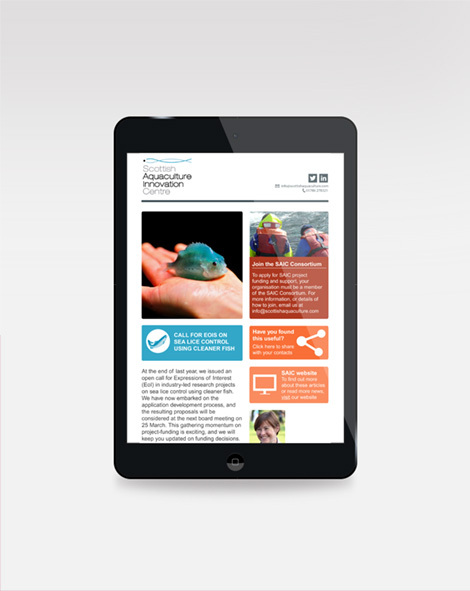 Working closely with the Centre’s marketing team we focused on designing a website that was easy to navigate, communicated clearly and presented the organisation as a credible resource for the industry. Special attention was paid to the structuring of the site’s content. This was in order to make the site both easy to navigate and simple for the marketing team to update through the content management system.